What a cool looking coin! We fully agree with the grade and the bean. Wicked smooth and clean surfaces are all over. Even using a strong glass with yield you no hints of even microscopic ticks or lines. A slight luster does beam from all over. 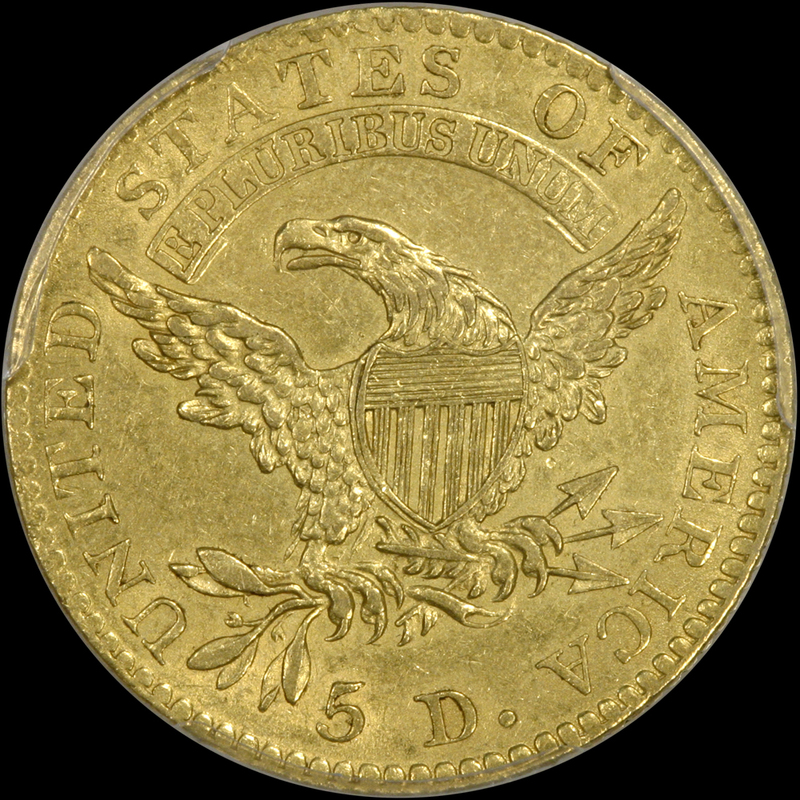 Both sides are an even and original moderate gold color. There are no spots or discolorations. The rub/wear on the high points is very light and even. Miss Liberty and the details are well struck and do stand out. The eye appeal is wonderful! PCGS 44, NGC 56, CAC 13. 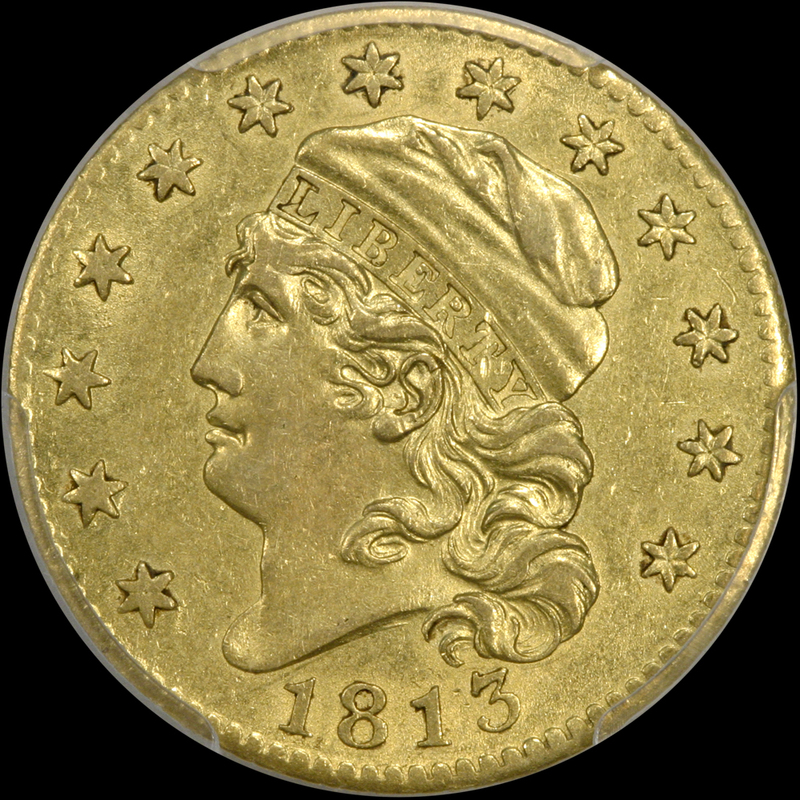 This is an incredible FACT: NO PCGS CAC piece has ever been sold via auction. Do not be fooled by the pops, Bust CAC gold (in all grades) is nearly impossible to find. Here we are offering a truly outstanding piece!